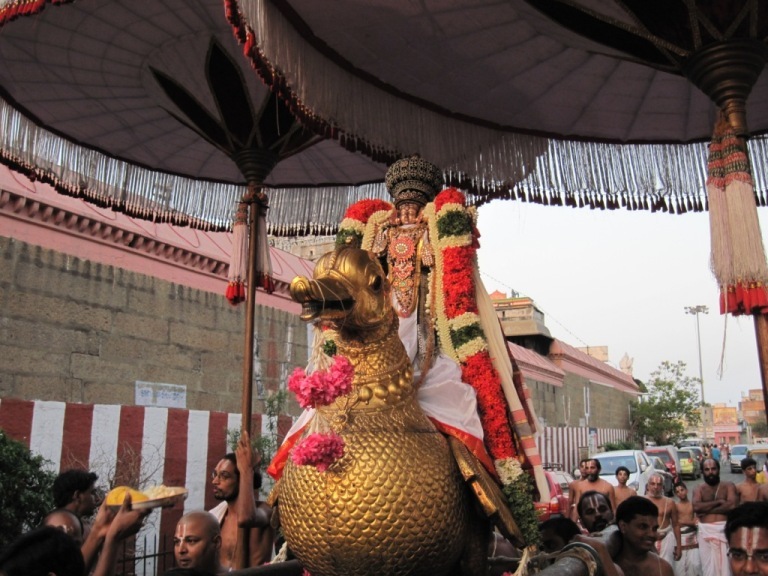 For Srivaishnavaites, reference to Perumal Kovil would mean Kanchipuram – the abode of Devathirajan (Lord Varadharajar). 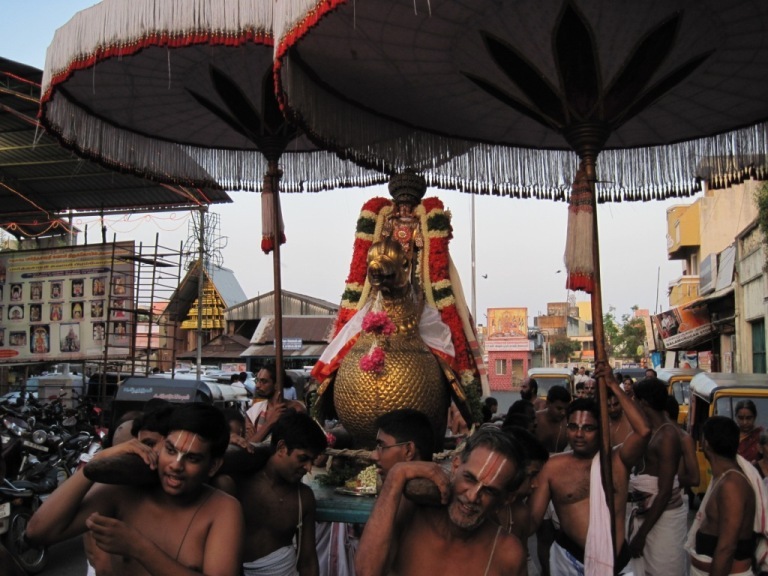 His annual brahmothsavam is an occasion when devotees throng the temple in large numbers. 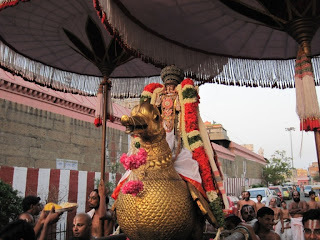 Most important purappadus during this festivity are the Garuda Seva and Thiru ther. 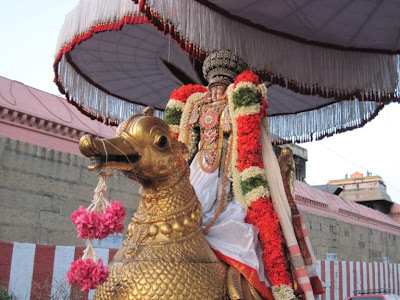 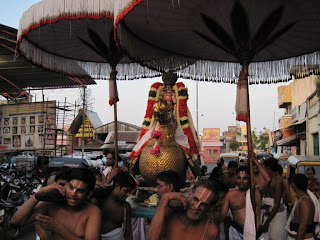 Varadharaja Swamy uthsavam commenced on 15th May 2011 and Garuda Sevai is on 17th May 2011 (early hours of Tuesday). 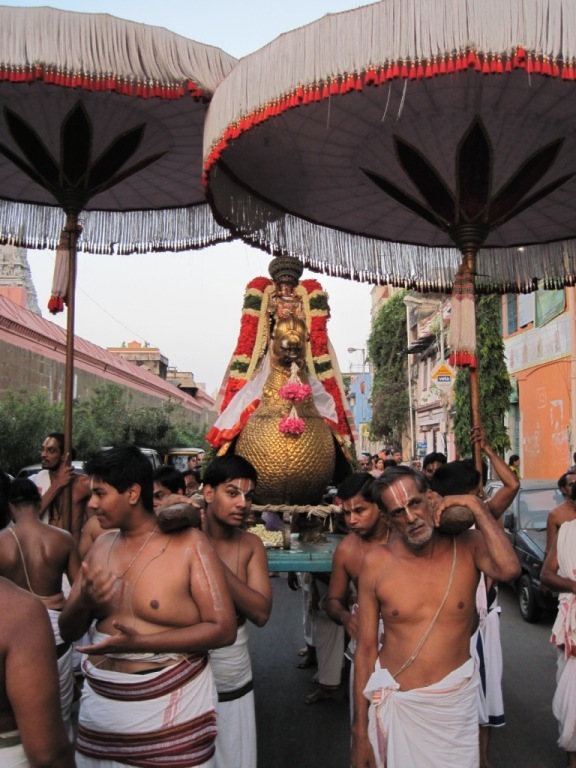 The Car festival is on 21st (Sat). Here are some photos taken during the first day purappadu at Thiruvallikkeni.